The weekend's warm and balmy temperatures did a number on the Adirondack backcountry and cross-country ski conditions. Thanks to the miraculous combination of snow guns and the return of cold weather, Whiteface is in very good condition for lift-served skiing and sliding. Some cross-country ski centers are eking out skiing on only 2-6 inches of natural snow. Mount Van Hoevenberg is closed today, but plans to re-open tomorrow. There is snow in the forecast every day this week and Henry over at Accuweather says we could see a significant snow storm late this week and into the weekend. An eternal optimist, I'll agree with Henry and predict we'll be back in the Adirondack backcountry by next week! 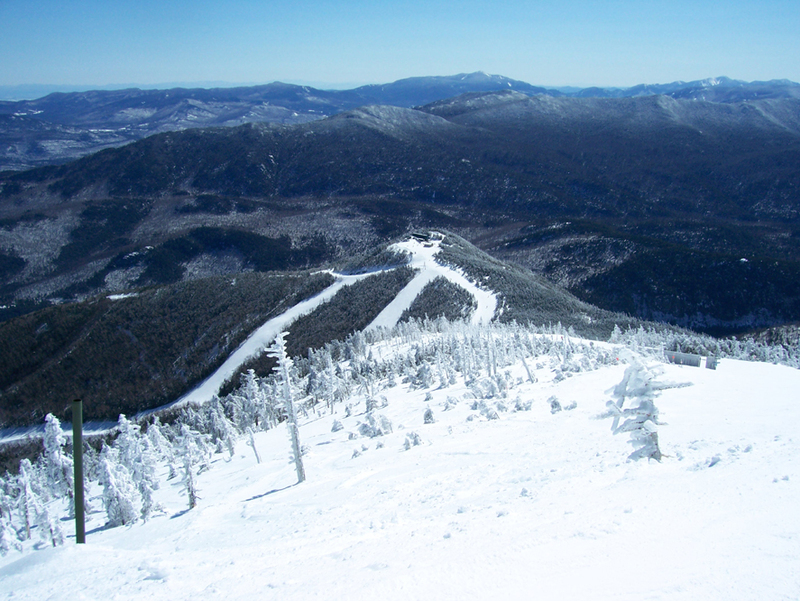 Today's featured photo is Whiteface, the ever stalwart option on winter days like this!